The new Horizon 2020 ELEVATE project for the ‘EarLy dEtection of cerVical cAncer in hard-to-reach populations of women through portable and point-of-care HPV Testing’, has started. The ELEVATE project develops and tests a multi-disciplinary intervention to improve the cervical cancer screening coverage of hard-to-reach women in Europe and the Community of Latin American and Caribbean States. This project combines fundamental scientific research with social science investigations, and technology development. At the core of this project is the development and pilot testing of a portable, point-of care human papillomavirus testing device that yields rapid, easy-to-understand results for use in low-resource settings (i.e. without relying on electrical outlets or trained health personnel). The ELEVATE consortium of nine partners- led by ICRH and CMST of the UGent- will receive 3.3 million Euro from the European Commission’s Horizon 2020 research and innovation programme to execute this project over five years (2019-2023). The may 2018 edition of imec magazine contains an article about our research on optical sensors: Here’s how to make materials ‘feel pain’. 12 march 2018: The news website Advanced Science News has highlighted the paper “Thin and flexible polymer photonic sensor foils for monitoring composite structures”, written by some of our colleagues, on their website. 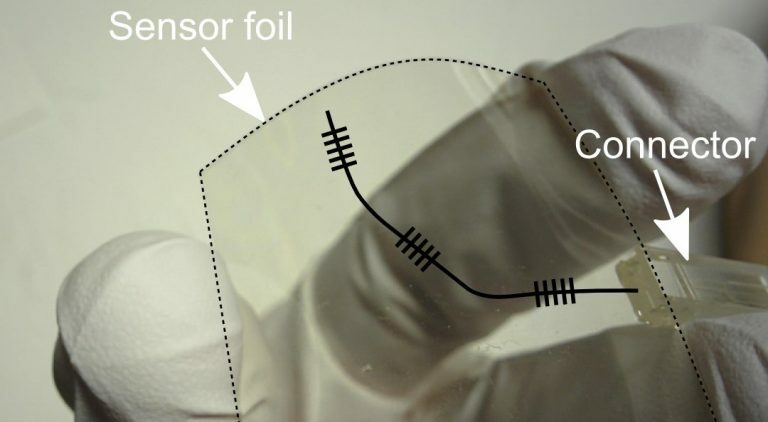 You can access the news article here: Bending Sensor Foils. 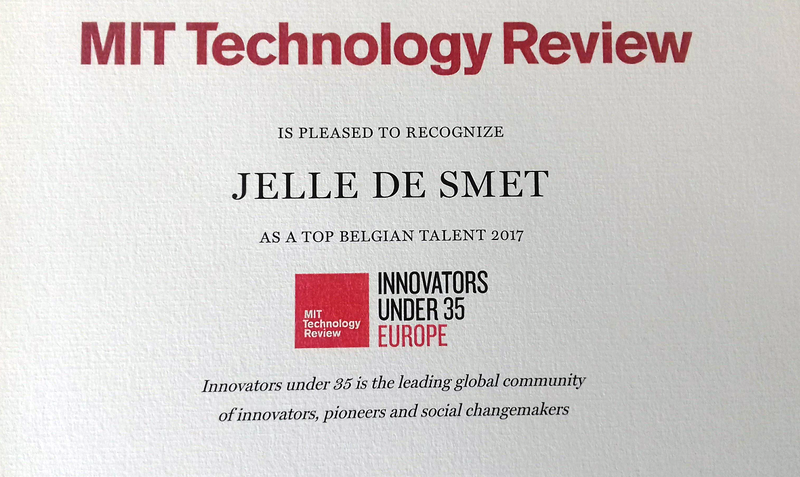 Our ex-colleague Jelle De Smet has made the list of the most brilliant Innovators Under 35 (published by MIT Technology Review) for his work at the EYEco-eyeCO spin-off. The first newsletter of the Aquarius-project has been published. The first issue of includes some main project information and the concept and provides an overview on the individual work packages and their progress within the first few project months. CMST is one of the research groups that participates in the new expertise center for Nano-and Microfabrication “Namifab”. More information about the mission and capabilities of Namifab can be found on their website. In the frame of Darpa’s HAPTIX development activities, research is performed to develop a system for a thought driven control of a bionic arm. Imec is taking part in these activities by its IMPRESS project, coordinated by the University of Florida. Imec’s role is the design and fabrication of a flexible, miniaturized electronic device for implantation in the peripheral nerves. This neural probe is carrying many electrodes for recording as well as stimulation and allows for a direct communication between the nerve system and the bionic arm. CMST plays an important role in this project by its development of an ultrathin flexible hermetic packaging technology for the implantable neural probe. This work was sponsored by the Defense Advanced Research Projects Agency’s (DARPA) Biological Technologies Office under the auspices of Dr. Doug Weber through the Space and Naval Warfare Systems Center, Pacific Grant/Contract No. N66001-15-C-4018 to the University of Florida. The CMST website has been redesigned! The website uses the new design developed for ‘200 years Ghent University’, and we have updated and improved all of the information on our site. Announcement: Smart Optics workshop, December 19th, 2016. This workship will present the main results from the Secondos project and offer an outlook to possible next steps towards products. This research was subsidized by VLAIO. More information can be found here. 8 October 2014. 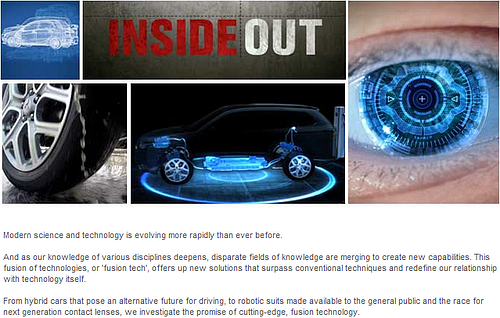 CMST appeared in an episode of 'Inside Out' (Tech Fusion) on Discovery Channel. Click on the image below to see some screenshots! 18 February 2014. The stretchable optical interconnect technology from the polymer photonics and laser technology group was covered in a news release by The Optical Society. A Stretchable Highway for Light. 7 November 2013. 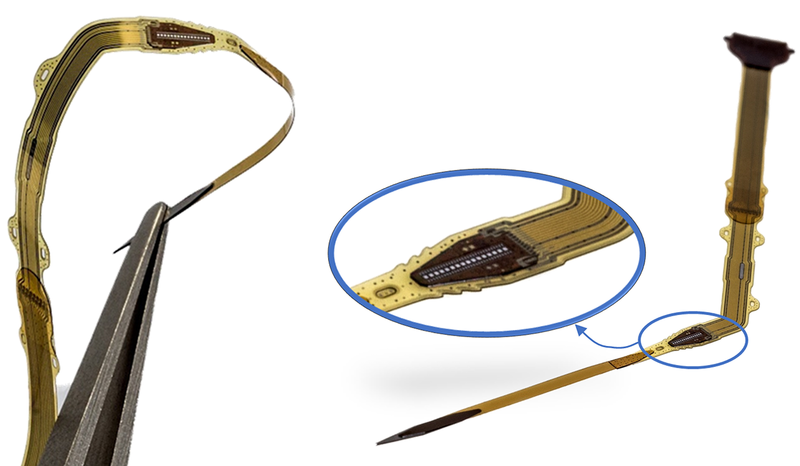 Pieter De Backer has been nominated for the 2012-2013 'The Flemish Dissertation Award' for his dissertation "Design and manufacturing of a switchable artificial iris" (Promotors H. De Smet en D. Cuypers). This award brings dissertations to the attention of newspapers, magazines and other media. Entered dissertations will also be included in the Dissertation Bank, which can help students secure their future career. Het Nieuwsblad - Vier Gentse studenten op longlist Scriptieprijs. Engineeringnet.nl - Twee ingenieurs op longlist Vlaamse Scriptieprijs 2013. 22 October 2013. Jelle De Smet has been nominated for the first ever 'Golden Pipette Award'. This award was instituted by the popular science magazine "EOS" to celebrate the magazine’s 30th anniversary. The award celebrates the scientific achievement of the year, performed by a young scientist.in the category Academics. The winner will be announced during a ceremony on the 24th of November 2013. EOS magazine - De lens van de toekomst. Schamper - EOS Gouden Pipet. 7 October 2013. 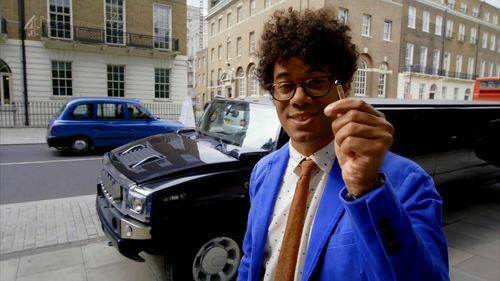 Our 'smart contact lens' appeared in the "Smaller is Better" episode of the Channel 4 TV show "Gadget Man". 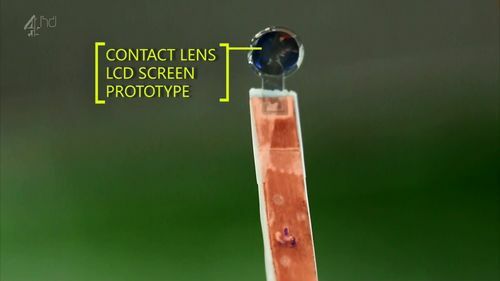 Channel 4 : "Gadget Man - Smaller is Better"
TechEye "LCD display fitted onto wearable contact lenses"
EE|Times "LCD display embedded in contact lens"
Optics.org "Belgian team develops “LCD” contact-lens display"
The Telegraph, "Text messages direct to your contact lens"
Libération, "Un écran LCD dans une lentille de contact"
Heise online, "Kontaktlinse mit LC-Display entwickelt"